Don't worry, no blossoms were harmed in the taking of this photo! 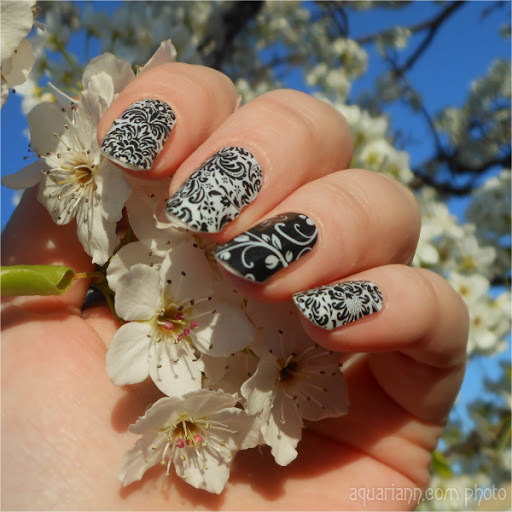 I was very careful when posing with the flowering pear tree, thus why the angle of the actual nail art isn't as flattering and you can see the tips of my naked nails. 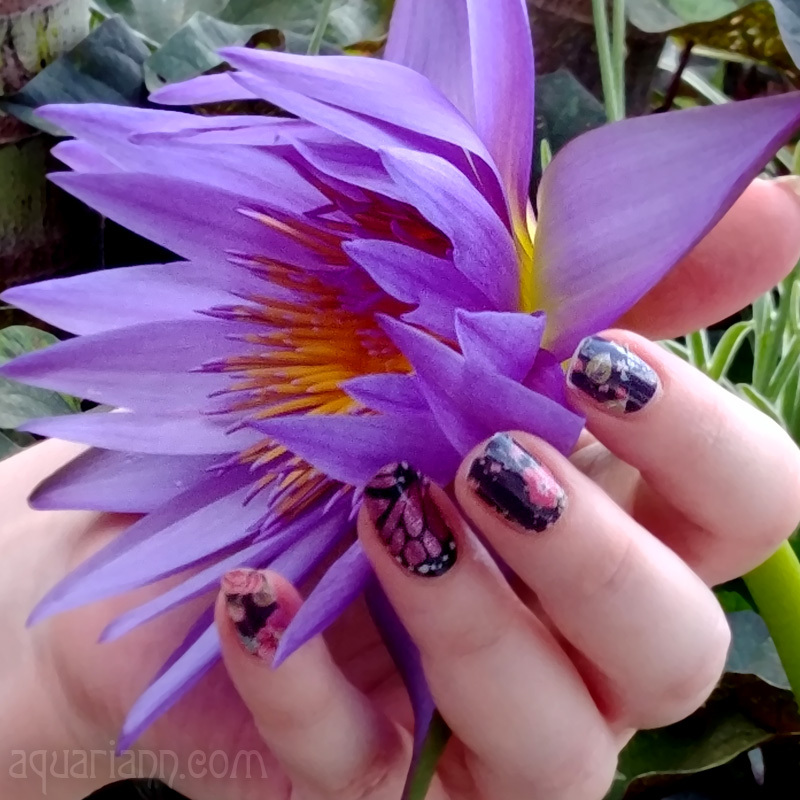 Jamberry Nails retired their Black Decorative design so long ago that it's not even available on Amazon, but my accent nail, Black Floral, is being sold as a half sheet of nail wraps, which does at least two full manicures. Or if you're just a fan of tree blossoms, you can order a pretty flower photo on several products without my hand marring the tree on my Fine Art America shop. I ordered a pink cherry blossoms pillow to take to art shows as an example and can't wait to see the throw pillow in person. Love the black and white designs together! Really classy! Love it, the nails are pretty!